The global health landscape is undergoing tremendous and rapid change catalyzed by a range of forces in the areas of economics, policy and, most famously, technology. In the midst of these changes, executives, medical professionals, innovators, entrepreneurs and others are seeking guidance about how best to navigate, succeed and innovate in the fast-paced health marketplace. This complimentary on-demand webinar, “Decoding the DNA of Health Innovation — in Digital and Beyond” highlights new research from the global State of Digital Health Innovation study, actionable insights, strategies and tools that can help accelerate health innovation and much more. According to the initial results released by Enspektos, LLC, only 5% of health organizations are operating at the highest level of proficiency and expertise when it comes to their digital health innovation efforts – this includes the ability to successfully scale and diffuse innovations. Participants suggest that organizations do not have sufficient expertise in-house or via external partners to develop, and especially scale, digital innovations. -Actionable insights about how health organizations globally are progressing in their digital innovation efforts, the obstacles many are facing and how to overcome them. -Specific strategies and tactics that leading health organizations, investors, innovators and others are using to build a New Health Ecosystem and how its guiding principles, the 95 Theses (which have been embraced by a range of leaders, including Bill Gates, Esther Dyson and Eric Topol) can help transform health and well-being globally. -Tools, tactics and strategies health organizations are using each day to manage the data, analytics, human and technical challenges associated with making the promise of the digital revolution a reality. Fard Johnmar: Fard is a digital health futurist, strategist and researcher with a nearly 20-year career in global health. Fard also conceived and produced the State of Digital Health Innovation study and has advised executives, entrepreneurs, medical professionals and others focused on developing groundbreaking digital health tools, technologies, products and services. Dave Chase: Dave is the Managing Partner of the Hf Quad Aim Fund, a new seed stage venture fund. Dave was the co-creator of the Health Rosetta, an open source blueprint for how to purchase healthcare services wisely. The Health Rosetta also became the investment thesis for the Quad Aim Fund. Chris Edwards: Chris is the Chief Marketing Officer at Validic, the industry’s leading digital health platform providing healthcare and wellness organizations with access to patient-generated health data from hundreds of wearables, applications and in-home clinical devices. 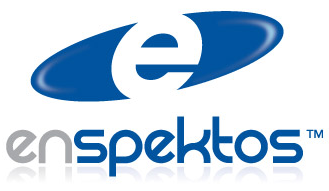 Enspektos is an innovation consultancy founded by digital health futurist and researcher Fard Johnmar in 2005. For over 10 years, Enspektos has delivered original research, education, technologies and other tools that have helped thousands of health executives and medical professionals understand, navigate and succeed in digital health. How can Enspektos advisory services benefit you? For more information visit http://enspektos.com or email Fard Johnmar at fjohnmar@enspektos.com.